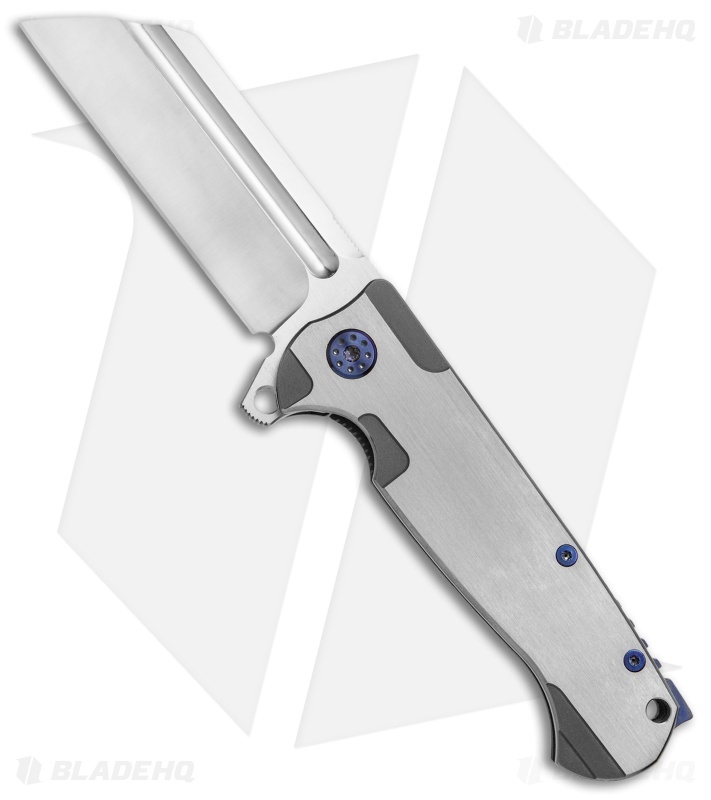 The Classic Butcher is an impressive folding knife design from Andre de Villiers with a mid-tech custom build. It offers an excellent feel in hand along with smooth and precise flipping action from a ball-bearing pivot. The S35VN steel blade has flat grinds, a fuller groove, and a high satin finish. Titanium handle construction with a jimped back spacer and pocket clip finish off the outstanding design. This Classic Butcher has a satin finished titanium handle with blue anodized hardware. S35VN blade steel for a super strong, corrosion resistant cutting edge. 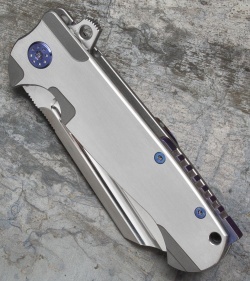 Titanium pocket clip with a unique rolling pin design provides a snug fit that won't destroy your pockets. Replaceable lock bar insert offers a sturdy reinforced blade lock-up that will stand the test of time.